Given that the sensor of the new Canon 5D Mark IV will use the Dual Pixel technology (each pixel is double, one of normal size and one smaller), it seems that the camera will have the option of photograph in a new format denominated DPRAW. After, the developing application of the Raws Digital Photo Professional will be able of carry out some special functions with the information provided by the two pixels. Of the 61 focus points, 41 will be cross type (like the MkIII model) but probably all or almost all will be working with lens of a maximum brightness of f/8. 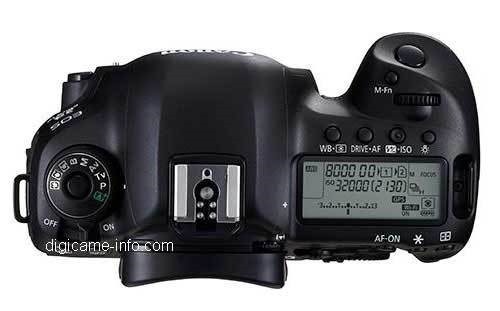 On top of that it has been said that finally the 5D-IV will incorporate the EOS iTR Af system of the EOS 1DX. If the rumors that run in the Internet are true, the Canon 5D Mark IV camera it’s already around the corner. Its official presentation is due to the end of the month. It has been four years and a half since the 5D Mark III was presented in society (March 2012) and since then it has become one of the most used cameras by photographers and professionals of several disciplines, among them, the nature or/and travel photographers. If we look today to the ranking of cameras used in contests such as the World Press Photo or the Wildlife Photographer of the Year we will find that the 5D Mark III is one of the most used. Its secret? Well none in specific: a very well balanced camera in performance, size and price. In my opinion is a tool that is pleasant to work with, that never had given me any technical problems in four years of use and that has endured wonderfully all the heavy use around the world. Is a camera of those that you end up loving, I think that even if it disappears from the market, the 5D MkIII will remain for years as a wonderfully choice for the photographers. On its day I published in this blog several articles about “the new Mark III” (as mistakenly many amateurs called it, since it has been other Mark III cameras in the world). In case anyone is in the mood to review it, here you have the links. At this moment (august 17) at just a few days to the official presentation, all of these are rumors, but they all look pretty solid. Even photos have been showed, and over them I’m going to lucubrate. Once it is official I’m going to keep updating this page and retouching the texts or adding new parts. 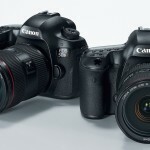 Based on the first shown photographs, the 5D MkIV still follows the same aesthetic line and conservative ergonomics of the Canon SLR since a lot of years. Few changes have been made in this sense. Sometimes one is tempted to think a spark of originality in the redesign will give joy to the users. But since the point of view of daily use is also true that the fact that all the controls follows the same place eases the instinctive work of the photographer. The only not noticeable change looks to be the step from the connector of the remote control from the lateral to the frontal, that will facilitate the work of the designers of platens of tripods in L shape. 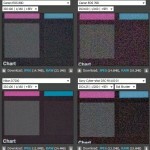 The one thing that most people have in mind when it comes to upgrading a camera is the resolution of the image sensor. In this case it seems that it would increase from the current 22 to 30,4 MP. It’s been speculated that there has been testing done with another sensor of about 24 MP but the final decision would have favored the higher resolution one. 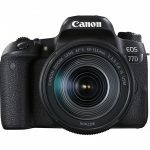 Since Canon is already selling its 51 MP 5DS and 5DsR models for all the megapixel buffs, personally I would have liked for them to have restrained themselves in that aspect and instead focused on improving the noise levels on sensitivities from 1,600 to 12.800 ISO, which are the ideal ones for photographing fauna in action, animals with crepuscular lights or for photos of nocturnal landscapes. If Canon decides on an increase in resolution the possible improvement in noise will be less, even though with the technological evolution I hope that at least it will be with a midpoint. Important: an improvement that’s visible not in the processed JPEG file, but in the RAW file without any noise reduction applied. At the end, since the decision seems the be in favor to the resolution, the advantage is that we will get the capacity to make amplifications of bigger sizes (which percentage of the population does them? ), bigger possibilities of photography cut in salvage faun, and that to, bigger problems with the detraction of closed diaphragms in the landscape photographers. This sensor incorporates Dual Pixel technology, (always in today’s date and in supposition mode), which allows for a much faster focus in Live View mode (photo or video). The AF system will remain in the same 61 points. The truth is, I don’t need much more, even though I would like it to be distributed in a wider manner around all the visor. I hope the design is somewhat different, something like the more recent EOS-1DK MkIL, 7FMKII and 80D, incorporating more sensitive AF points and more functional AFs for f:8 optics, so useful for photographing fauna with tele converters. It seems as though the flash speed will only increase one photo per second, going from 6 to 7. It’s not much, but it’s logical, having decided to increase the resolution so much. If they had maintained in one of 24 MP, maybe they could have squeezed 8 or 9 images per second. The LCD back monitor will be tactile, very much like the smartphones. Nothing that excites me, the truth is I have it in my Olympus OM-D EM-1 and I never use it. The video 4k is something to be thankful for, since it is the new world standard, and performs better than the HD. Other improvements seem to be the incorporation of GPS, (something that doesn’t keep me up at night, but seems to delight some aficionados), and Wi-Fi. Wi-Fi could be interesting; to connect the camera at a distance once in a while from a smartphone. As far as the two slots for the memory cards, there has been some speculation as to whether the 5D-IV, like the new EOS-1DX-II, will also be converted to the Compact Fast standard. 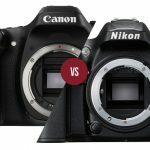 It now seems that the designers have wanted to differentiate the classes and have kept the Compact Flash in the new 5D-IV, accompanied by the SD. Luckily, this time, it has been adapted to its faster SDXC standards, one of the most flagrant design errors of the 5D-III. For months now, it has been speculated that Canon would try to reduce the size and weight of the camera. It seems to have been somewhat successful, in that even with the incorporation of the new improvements, the rumor mill had been talking about a weight of 890 grams (instead of the actual 950). Nevertheless, the measurements are almost identical: 116.4 x 150.7 x 75.9 for the Mark IV instead of the actual 116 x 152 x 76. Other novelties Canon might present seem to be new versions of its 24-105 mm L IS II and 16-35 mm f:2.8 LIII lenses. Next week’s Photokina fair should be interesting for photography aficionados. (PLEASE TAKE NOTE: THIS ARTICLE IS BASED ON RUMORS. THERE IS NO OFFICIAL INFORMATION PUT FORTH BY CANON. WE WILL UPDATE AS WE GET REAL INFORMATION. Canon and the possible new technology “Foveon” with its futures FF sensors.